Sam's Shipstop - The Rotisserie What Now? 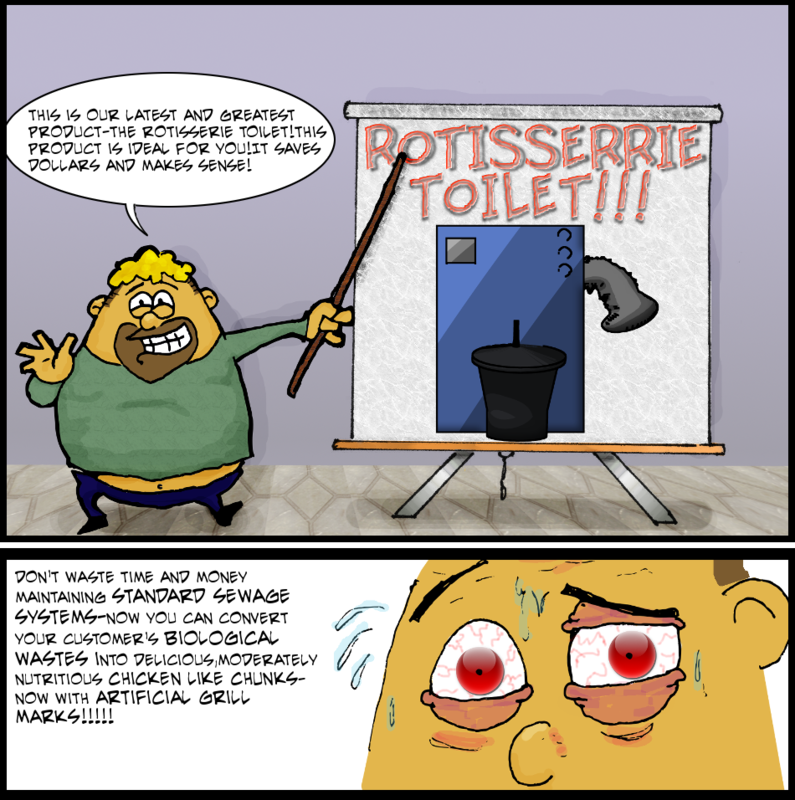 Comic 54 - The Rotisserie What Now? It's amazing what a difference a good font can make. I have no idea why I decided to make Slaart's eyes look like glass marbles here.